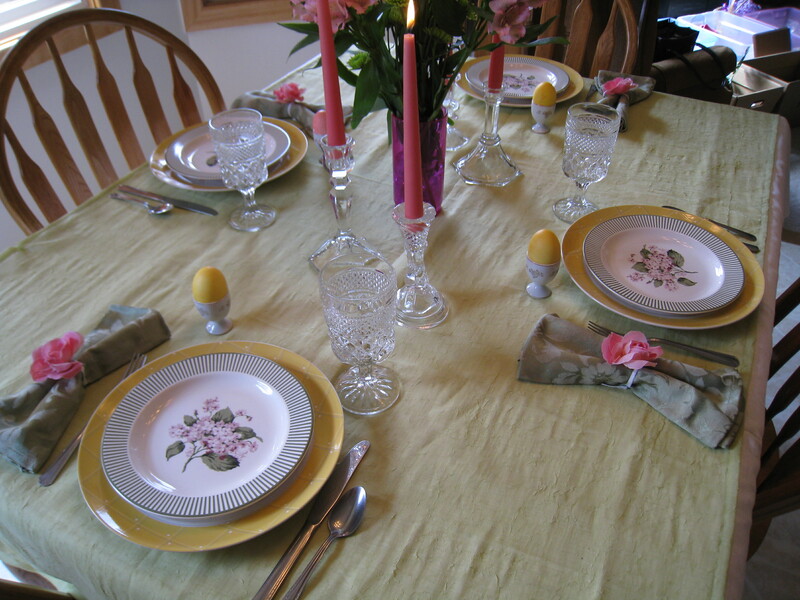 I love to create beautiful tablescapes for dinner parties. But sometimes it’s just not possible for everyone to sit down at the same table. When you have a big crowd, a buffet set-up is the most practical way to serve dinner. 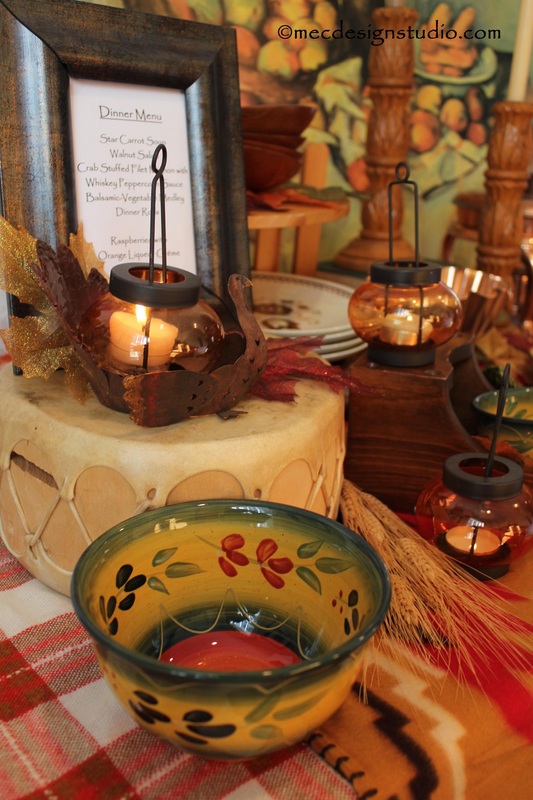 Your buffet table should be just as lovely, inviting and appetizing as the dinner table. 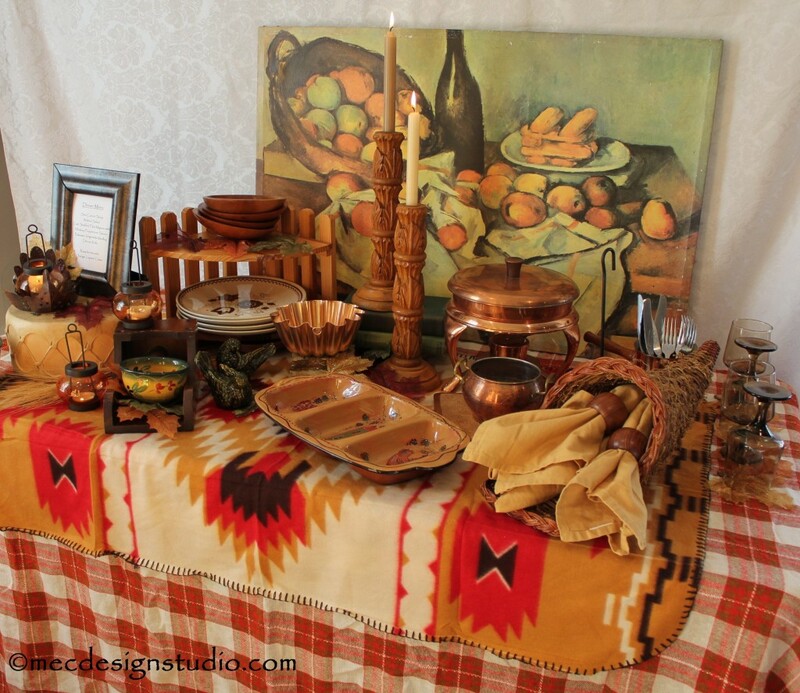 This Thanksgiving buffet table looks yummy even without any food! Design Tip: I might sound like a broken record, but this is worth repeating: The key to a beautiful design (in a room or on the table) is building layers, adding textures and incorporating color. 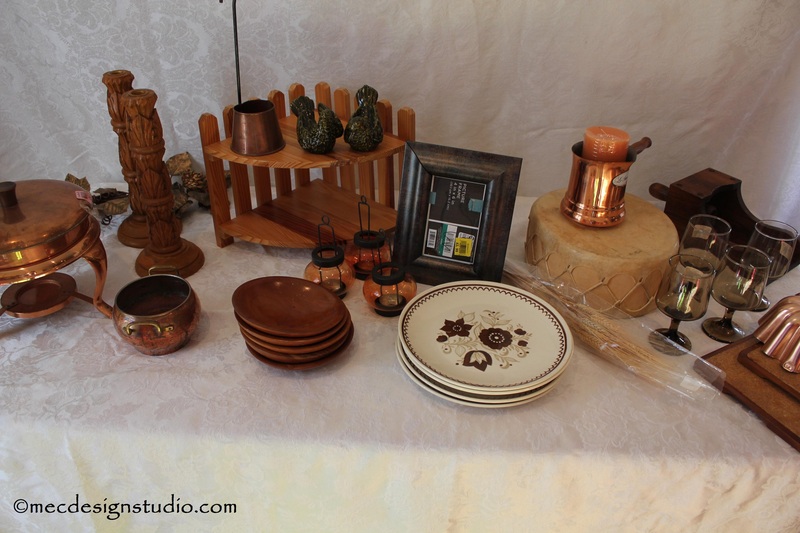 I gathered lots of items from various Goodwill stores for my harvest buffet. 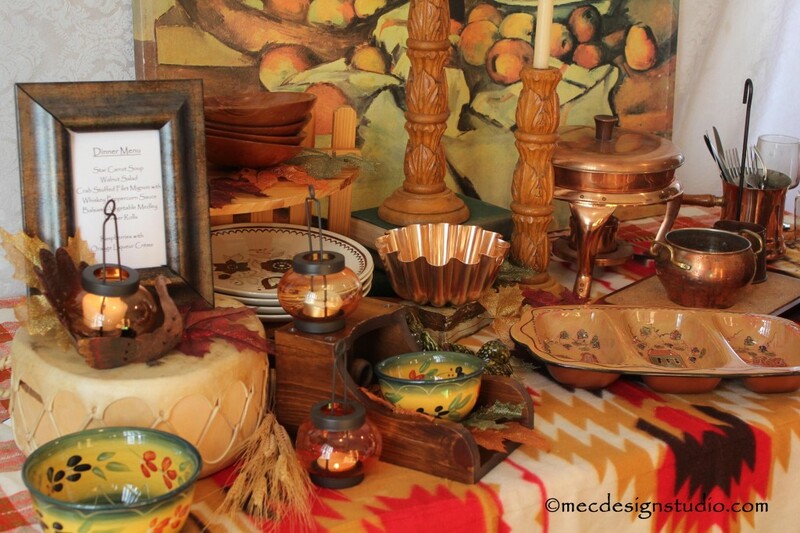 Look for items that you wouldn’t ordinarily think to use on a table. 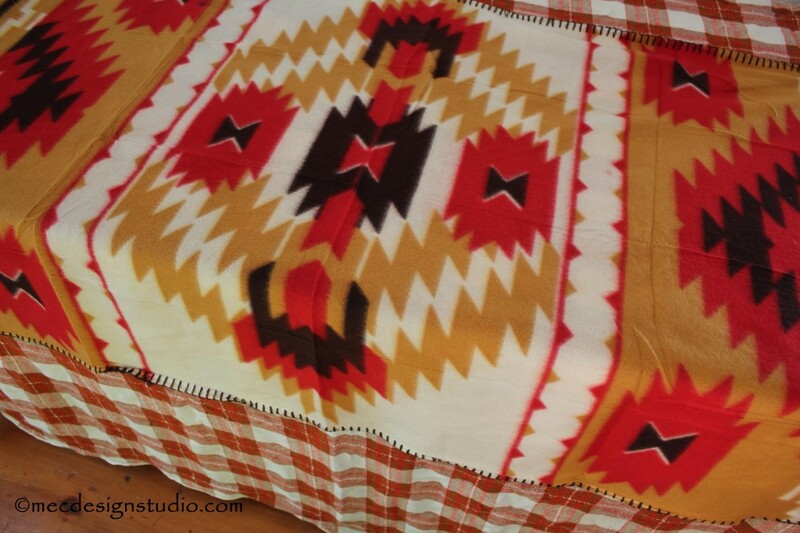 I topped a plaid tablecloth with a southwest style blanket. 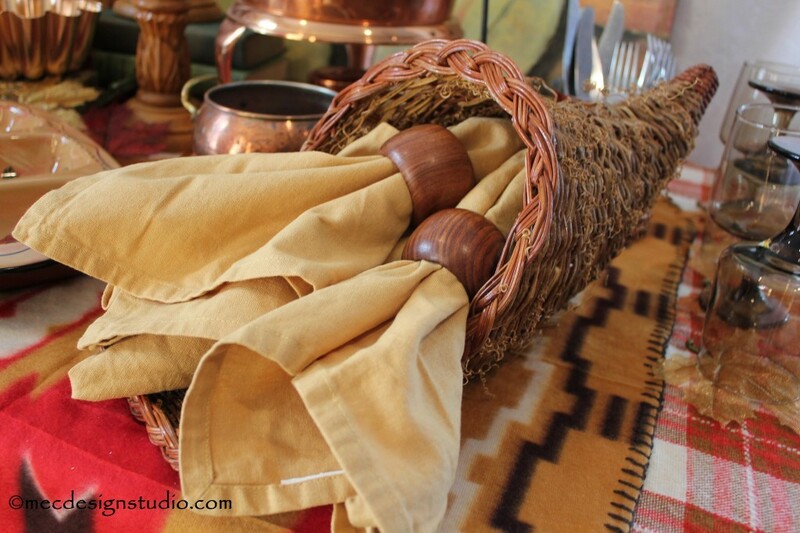 Smooth wood napkin rings contrast beautifully with the rustic texture of the cornucopia. 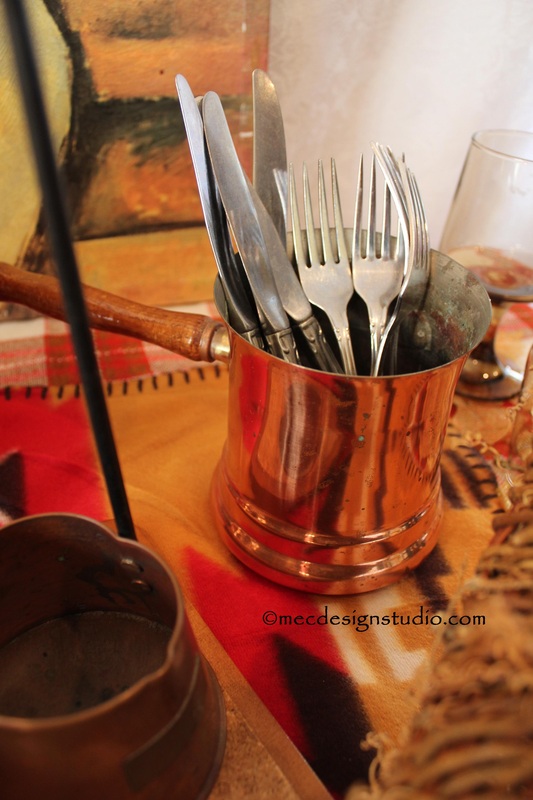 Design Tip: Make serving easier for your guests by placing the napkins, silverware and glasses at the end of the table. A drum makes an interesting stand and candle light creates ambiance. Just make sure no one has to reach over the flame to get at the food! 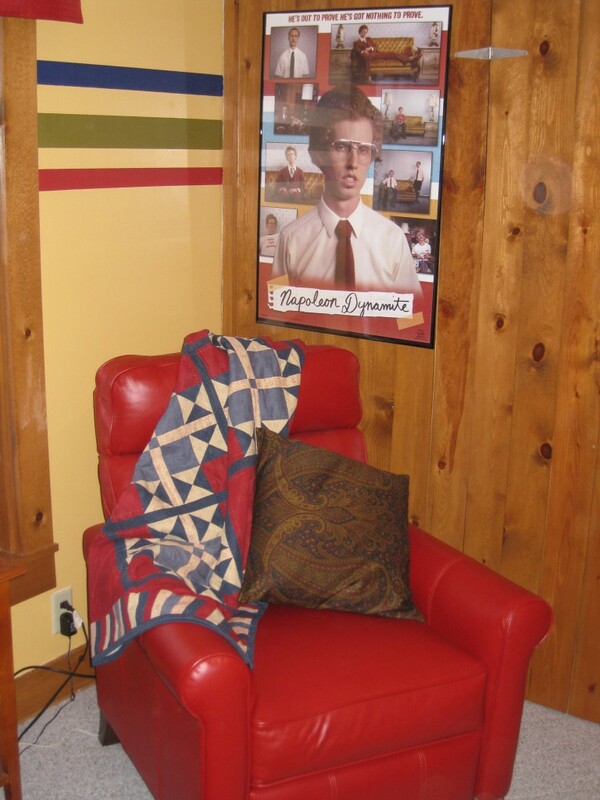 A framed menu card lets people know what’s for dinner. 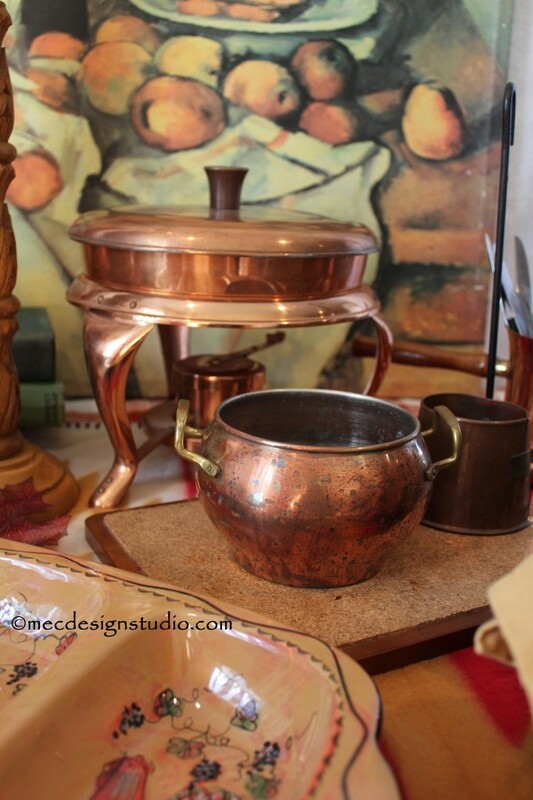 No need to polish copper pots. The aged patina fits right in with the color scheme. 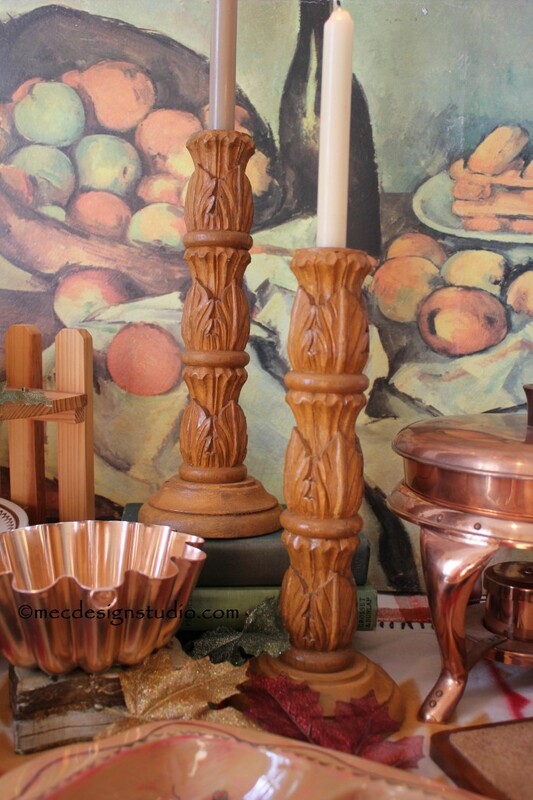 Design Tip: Throw in unexpected touches like these carved candlesticks on a stack of books. 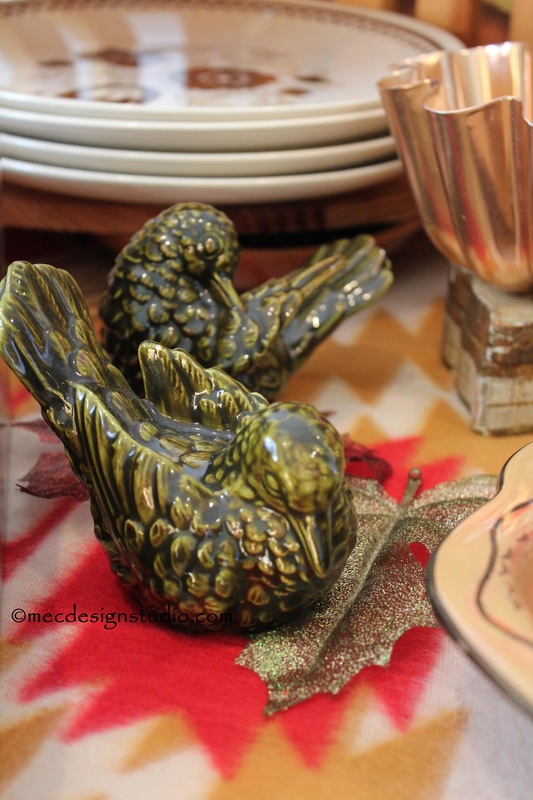 Although they aren’t turkeys, the pair of birds is a nice filler. A still life painting by Cezanne is a lovely backdrop. Have a wonderful Thanksgiving! 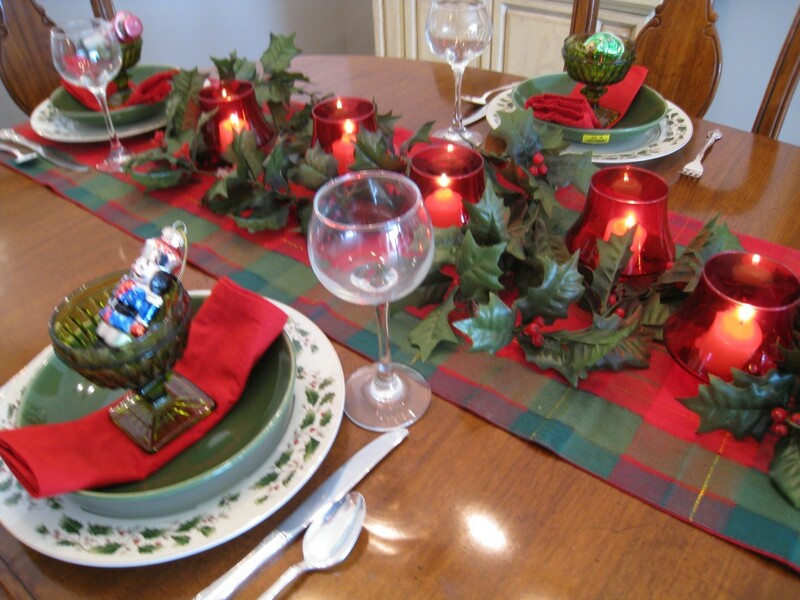 Send me a photo of your holiday table.